The general festival tunes are listed on the Processional Tunes page of the web-site. If it is your first visit, don’t feel you have to be able to play all, or any, of them, but these tunes will feature in our sessions and BIG DUB. IPATF is only festival of its kind in the UK. It started in Gloucester in 1999 and has been run by The Taborers Society since 2006. 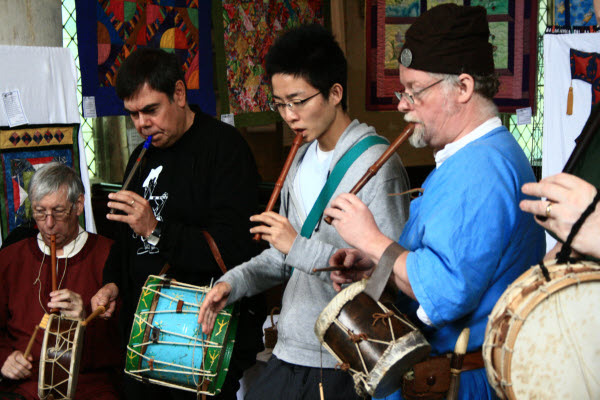 This festival brings taborers of all kinds together to share and celebrate their enjoyment of the instrument and its music. There are concerts, workshops, masterclasses, processions, and musicians representing the diversity of taboring world. 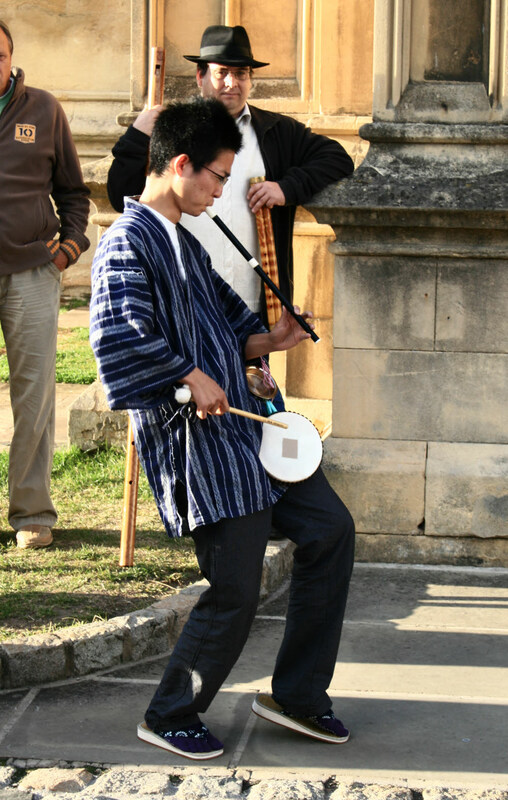 The Festival hosts the International Pipe and Tabor Symposium.